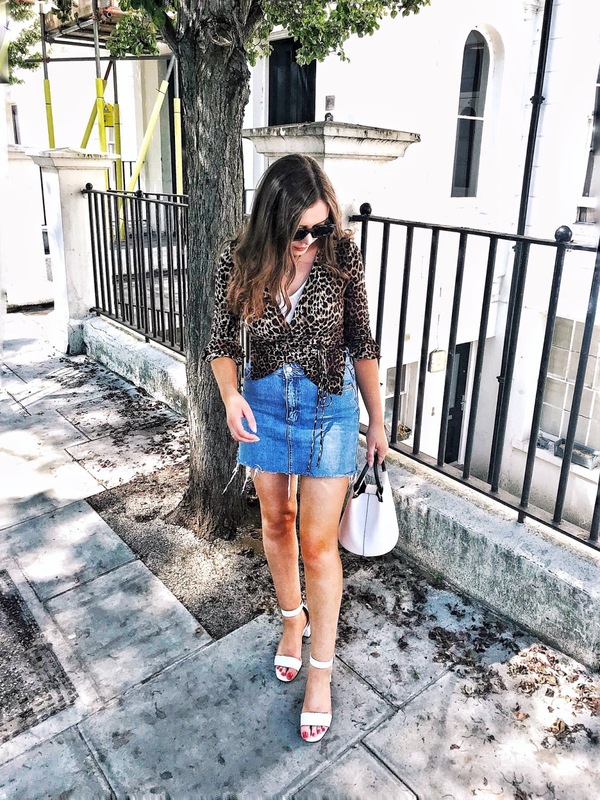 I always love taking part in blogger competitions, so when I was contacted about this lavish alice competition to win the outfit you would wear to london fashion week I was really inspired. 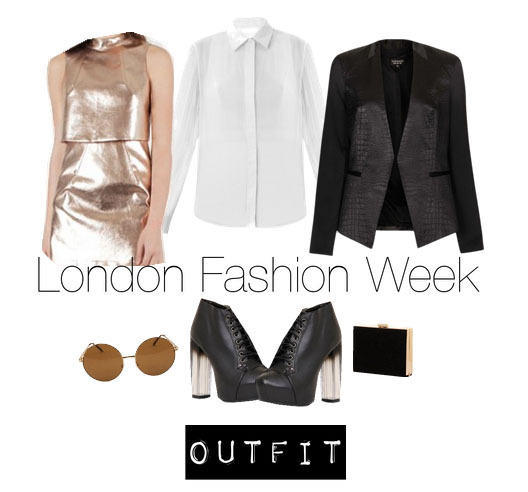 I always ponder what I would wear if I happened to be lucky enough to go to LFW (ah, I dream). 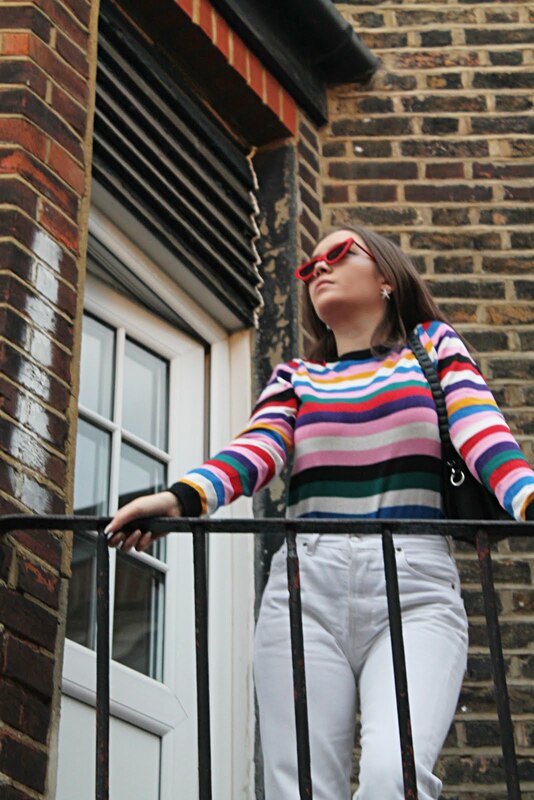 Knowing me, it would be a very hard decision to make, what with the countless numbers of fashion bloggers and photographers there to say the least, I would want to wear something that would make me stand out - but not too much and not for all the wrong reasons. 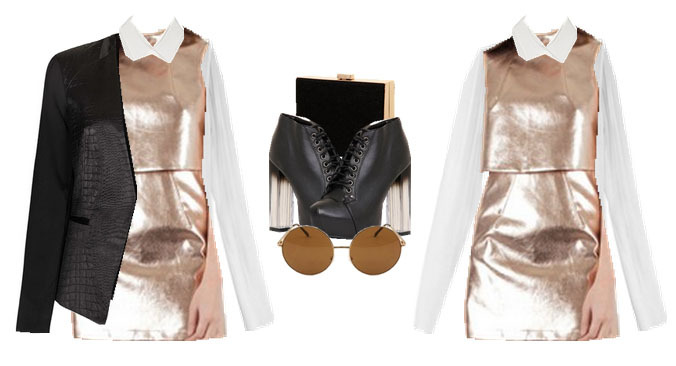 Okay so, the outfit that I picked is not too out there but the metallic material of the dress makes up for it I think - I'm really loving that whole trend at the moment. I was a bit stuck on what to pair the dress with at first but then I had the thought to layer a shirt underneath and I really love how it looks, especially the collar, I think it contrasts well and I'm sure it'd look even better on. 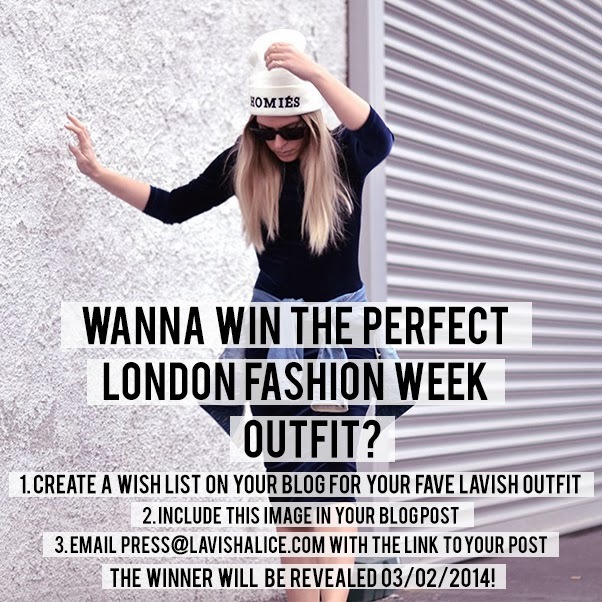 Here's the link to the lavish alice blog post if you want to take part! Love the pieces you chose, that dress is a gorgeous colour! Goodluck! The outfit you create looks really chic! lovely outfit and I completely agree, the metallic adds a bit of stand out there but for the right reasons. It looks super chic! I think you've got a winner there, good luck! Lavish Alice have some amazing pieces! that looks like the perfect white shirt! What a great competition! Love the dress you've picked good luck! !